Whether you are looking to deploy SAP Business One or migrate your IT infrastructure to the cloud, you will find the same methodical approach from Codestone – we know it works as it is based on almost two decades of experience. As one of the first SAP Business One Partners in the UK, we know the application inside out; with over 250 projects under our belt, we know how to align this solution to our customers’ needs to deliver the outcomes they desire. Codestone took the time to understand our business. They’re not just a solutions provider, they want the solution to work just as much as we do. We believe that the best projects are underpinned by a thorough and proven methodology and a focus on a clearly defined set of outcomes. At Codestone we put this into practice with an approach that is based on experience. We aim to offer advice from our very first meeting. We take the time to understand your business, your business needs and what you are looking to achieve from a solution. It is through understanding that our experts can then advise on what options are available and more importantly, what solutions would fit best for you. We adopt the best of both “waterfall” and “agile” methodologies to manage your implementation. Your proposed solution will be thoroughly documented and supplemented with detailed project plan that clearly defines roles, responsibility and project governance. Our solution specialists will then work with you through implementation, configuration, data migration, training, system testing and user acceptance testing. Once your project is delivered, you will be in the hands of our highly responsive and competent support team. Our UK support centre is manned 24×7 with SAP and IT infrastructure specialists. We align this service to your needs and to the hours you require, providing technical support, application support and a fully managed service. Ensuring that our customers gain the maximum from their SAP deployment and IT infrastructure is a key goal at Codestone. As such, we take the time not just to respond if something fails, but to proactively monitor the usage, adoption and value of the solutions we deliver. Our consultants strive to assist you in continually improving how you use and maximise your investment. Interested in finding out more about our SAP Implementation and IT Services? Clearly defining a project timeline and then ensuring that we deliver against this in order to accelerate time to value. To define project elements and tasks, to fully understand and manage risk and ensure that we deliver against our promises. Keeping clear sight on project objectives and desired outcomes, ensuring these are delivered along with measurable value to the business. 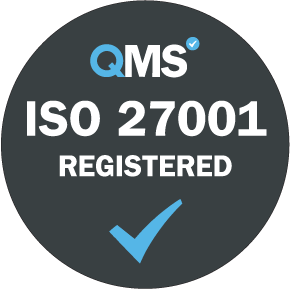 As part of our ongoing quest to be the best, we are proud to have gained ISO 9001 and ISO 27001 accreditations. Find out how this sets us apart here.